Whenever people talk about having too many lemons on their lemon trees I’m green with envy. It pays to have a friend with a lemon tree! 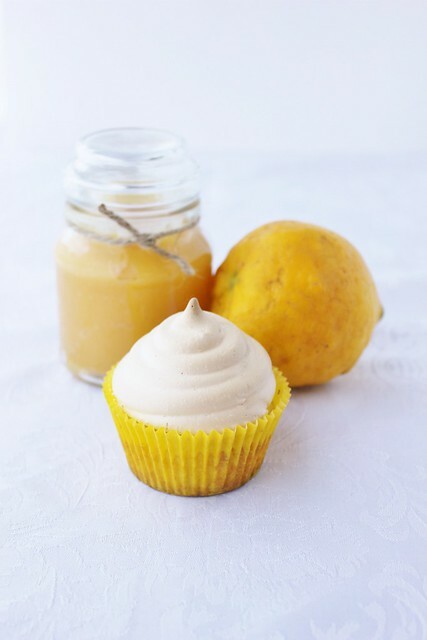 When my friend told me to take as many lemons as I wanted I immediately thought about making lemon curd. Then I thought, why not cupcakes? 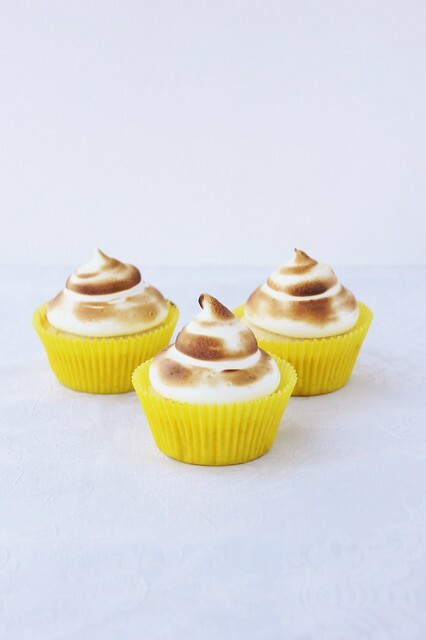 So lemon meringue cupcakes it was! 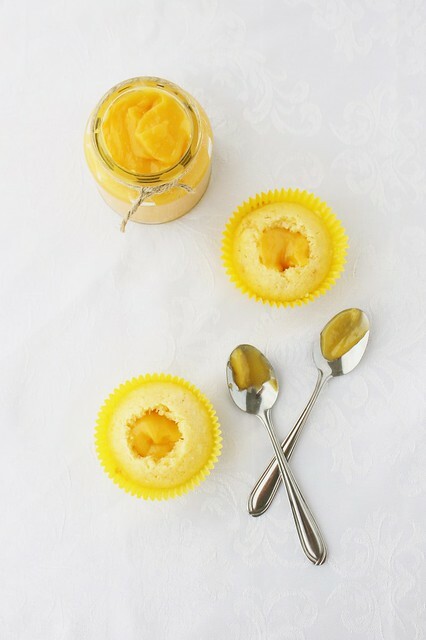 If you’re short on time (or lemons) you can use a store bought variety of lemon curd like Barkers. Nothing beats the real deal though! You’ll need to make it in advance so it has time to cool and thicken, I made mine the day before. 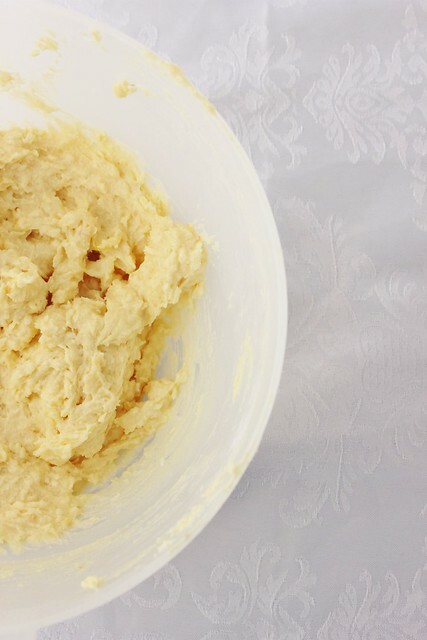 Put all ingredients in a small pot over a medium heat and whisk until butter is completely melted and ingredients and combined. 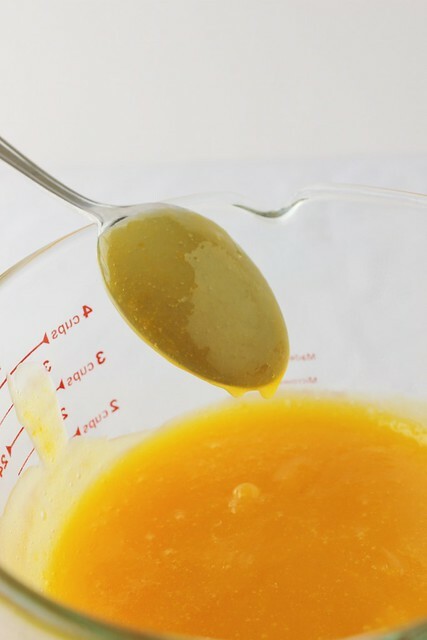 Use a wooden spoon to stir consistently while mixture thickens, take care not to let it boil. When mixture thickens and coats the back of a spoon easily it is ready. Cover with plastic wrap so that it touches the curd (to stop a layer of skin forming on top). Refrigerate until cold, at least one hour, or overnight if possible. Preheat oven to 180 degrees C and line a muffin tin with cupcake cases. Gradually beat in sugar and continue beating until light and fluffy. Add lemon zest and mix until combined. Add eggs one at a time, making sure to beat well after each addition. The mixture will look separated, don’t worry it’ll go back to normal soon! Sift flour and baking powder together in a separate bowl. Add dry ingredients and milk in three additions, starting and finishing with the dry ingredients. Stir in coconut and mix until combined. Spoon mixture into cupcakes cases. Bake for 10 - 12 minutes or until skewer inserted comes out clean. Leave in the tin for 5 minutes then turn out onto a cooling rack to cool completely. 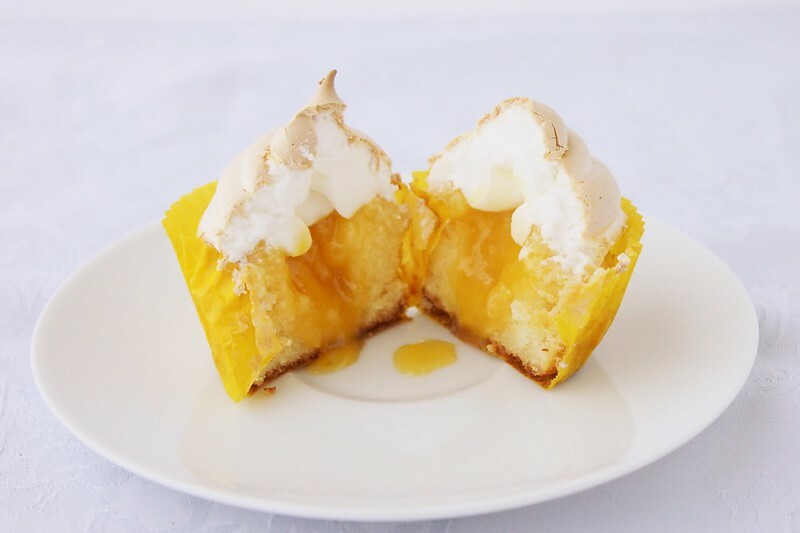 Using a small sharp knife, cut a hole in the centre of each cupcake and discard the tops (that means eat them). Make sure all equipment is completely oil free by washing it hot soapy water and drying completely before starting. 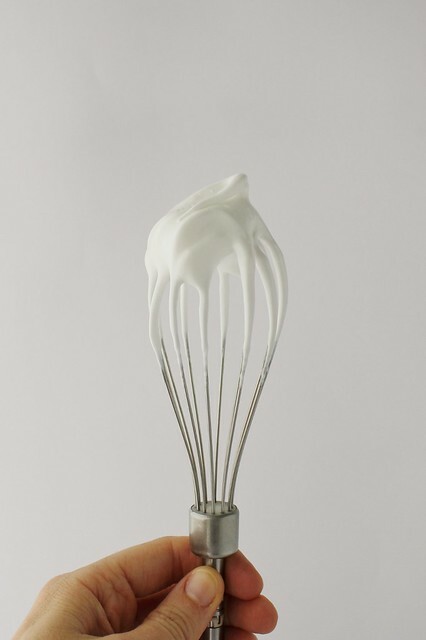 Using the whisk attachment, beat egg whites on a medium speed until soft peaks form. Gradually add the sugar, one spoon at a time. Continue to mix for about 10 minutes, or until stiff peaks form and mixture is thick and glossy. 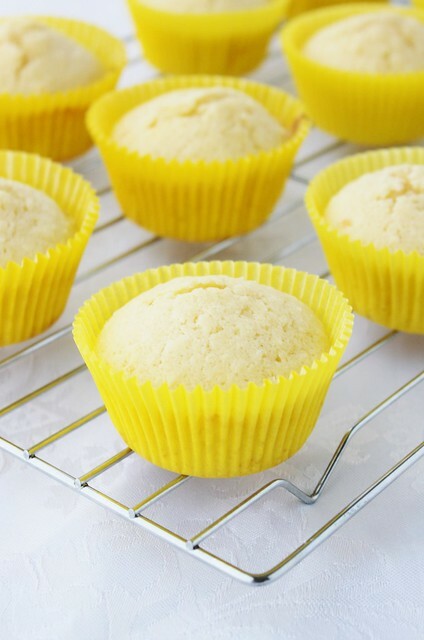 Spoon lemon curd into cupcake holes, about 1 - 2 teaspoons should fill it up. Spoon meringue into a piping bag fitted with large round tip. 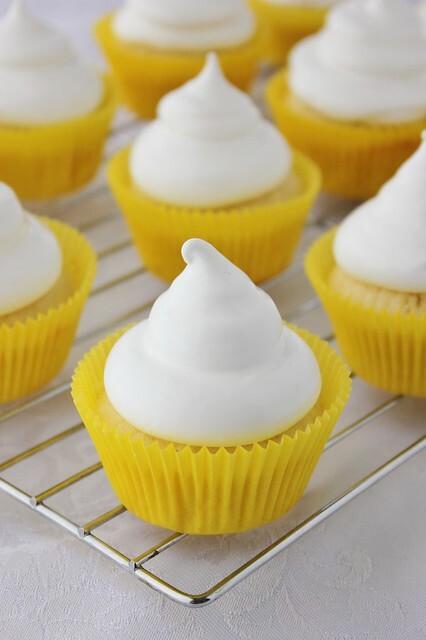 Pipe meringue on cupcakes over top of the curd and place on oven tray. 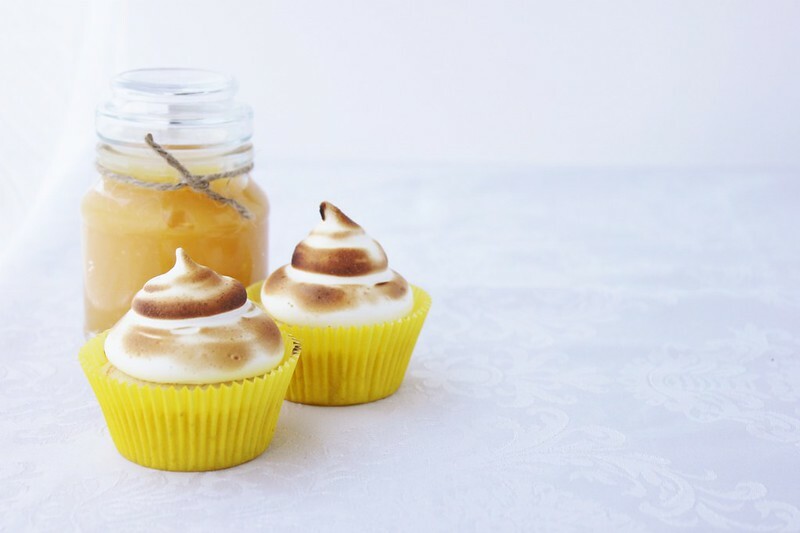 Bake about 5 -8 minutes or until lightly browned, alternatively brown the edges of the meringue with a brulee torch.